The matches of the 9th tour of the Crimean football union Premier League championship will be played on next weekend in Crimea. The games will be in Yalta, Kerch, Sevastopol and Simferopol. "Incomsport" Yalta will host FC "Yevpatoriya" on Saturday, October 13. Both teams achieved the victories at last tour and improved its position at the standings. 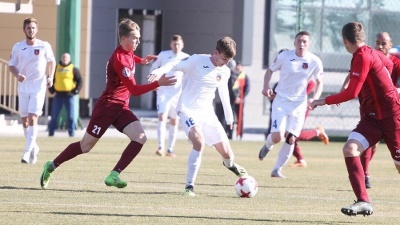 Yalta won from "Krymteplitsa" in away game 1:0, and Yevpatoriya won from "Sevastopol" at own walls – 5:4. "Incomsport" left the relegation zone, took sixth place, and "Yevpatoriya" went up on three line at the standings and takes second place. "Yevpatoriya" won from "Incomsport" with the score 2:1 at first round of the championship. The referee Denis Korablev from Kerch will judge the meeting od 9th tour. The beginning of the match at 15 o’clock. Three more matches will be on Sunday, October 14. The duel in Kerch starts at 15 o’clock, "Ocean" will host "Gvardeets" Skvortsovo. This teams located closely at the standings – "Ocean" located on the seventh place, and "Gvardeets" is at last eight line. Kerch won from "Gvardeets" with the score 3:1 in away game at first round of the championship. The match of 9th tour "Ocean" – "Gvardeets" is entrusted to judge the referees’ team led by Pavel Konovalenko from Bakhchysaray. The match "Sevastopol" – "TSK-Tavriya" undoubtedly will be the central opposition of the tour. 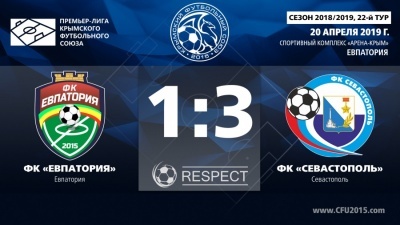 Sevastopol scored only one point at last two games and went down to the fourth line of the standings, and Simferopol is continuing to hold the lead despite the miss at last tour at the game with "Ocean" (a draw 1:1). 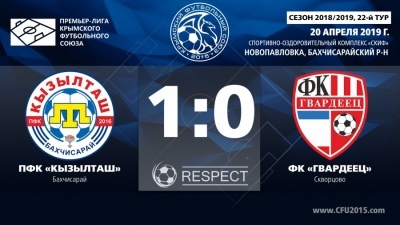 "Tavriya" managed to go away from the defeat in the last minutes in the game of first round, having scored to the Sevastopol’s goal at the injury time. That match ended in a draw – 1:1. Let us note, that "TSK-Tavriya" is the last team of the championship that did not lose at this season. The main Crimean derby "Sevastopol" – "TSK-Tavriya" starts at 16 o’clock. The referee of the meeting – Roman Shalverov from Pervomaiskoe. And the meeting in the Agrarnoe urban-type settlement, Simferopol will close the tour, "Krymteplitsa" will measure their strength with "Kyzyltash". 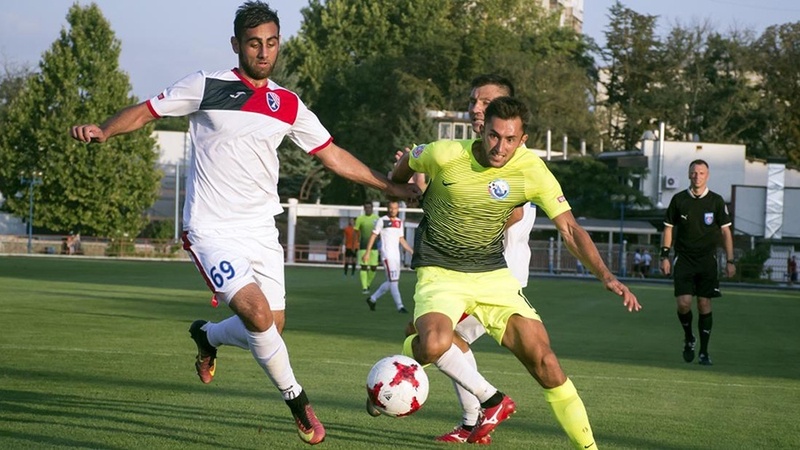 The team from Molodezhnoe scored only two points at last three matches, and Bakhchysaray didn’t know the joy of victories four matches in a row. The "red-white" won at the championship on September 8 for the last time. But both teams have decent points number despite on unsuccess at the last games and can to claim for highest places. "Teplitsa" won from Bakhchysaray with the score 2:1 in away game at the duel of the first round. 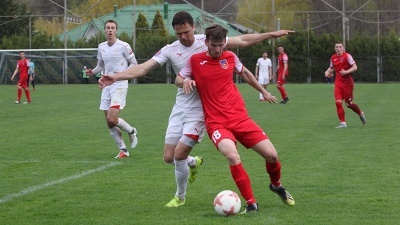 The match "Krymteplitsa" – "Kyzyltash" will start at 17 o’clock. 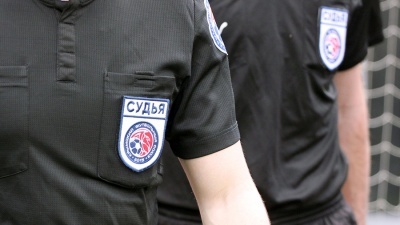 The referee of this match – Anatoliy Zhabchenko from Simferopol. All matches of the 9th tour of the CFU Premier League championship will be shown in live broadcast on the official website of the Crimean football union.